Metaviews 062. 2000.08.10. Approximately 3264 words. We continue with the exchange of position paper or visionstatements as part of the Future Visions consultation on harnessingthe scientific and spiritual imagination. Our next contributor isBrother Wayne Teasdale from Chicago. Brother Wayne Robert Teasdale, Ph.D received his doctorate in 1986from Fordham University in theology with a concentration oncomparative mysticism and interreligious dialogue. He is an adjunctprofessor at DePaul University’s School for New Learning, andColumbia College where he teaches ethics, comparative religion andspirituality. He has also taught at Benedictine University, andCatholic Theological Union in Chicago. He serves on the board of theParliament of the World’s Religions, and is the chair of itsSpiritual Life Task Force exploring ways to transform consciousnessprimarily through shared spiritual practice across traditions withinthe context of retreats. He is also on the faculty of Common Ground,an interfaith and intercultural center for continuing education.With the Dalai Lama and Monastic Interreligious Dialogue, heformulated the Universal Declaration on Nonviolence. And with theDalai Lama and two other friends, he initiated the SynthesisDialogues, an on-going effort to discover new models to integrateknowledge. His publications include four books, and some two hundredarticles. His latest book is The Mystic Heart: Discovering aUniversal Spirituality in the World’s Religions (Novato: CA, NewWorld Library, 1999). He is working on a new book, A Monk in theWorld. Brother Teasdale offers a mystical vision of science and religionunited in a universe overflowing with awareness, consciousness,intelligence, and soul power. Some years ago, while on a walk in Big Sur, California with RupertSheldrake, the topic of the relationship between religion and sciencecame up. He is both a great scientist, though regarded as unorthodoxby his critics, and a person with a deep spirituality. I asked himif these two ways of seeing the world would ever heal the riftbetween them. Rupert turned to me and said: The future of scienceand religion will be a congenial one. Everywhere we see evidence ofthis congeniality flowering: in books, symposia, workshops, dialoguesetc. it is explored. Our gathering of Future Visions is furtherevidence of this new relationship, and really the urgency of it. In an issue of Science three years ago, there was a fascinatingarticle that reflects this new development in our age. The article’stitle was instructive, Science and God: A Warming Trend. Thearticle mentions that 71% of scientists believe in God, 40% in thebiblical deity, and 31% in a transcendent principle, or ground ofbeing. Added to this is the slow erosion of science’s exclusive holdon culture in the last two decades. This erosion represents anabandonment of the attitude of scientism, and a realization thatthere are many authentic ways of knowing. The dawn of this insightmakes a collaboration possible and the results, ultimately beneficialto our planet. When science and religion finally unite their efforts, theconsequence will be nothing less than a revolution in cultureaffecting every aspect of our lives. For centuries these two waysof knowing and being have been at odds, held in an uneasy contrast bya mutual suspicion, competition and often open conflict. Theirrelationship got off to a difficult start because of fear of scienceand an intolerant attitude in the Church during a long period when itexercised political and cultural dominance, subsequently reinforcedand hardened by an equally intolerant and arrogant attitude by somescientists, though many have always been open to faith. 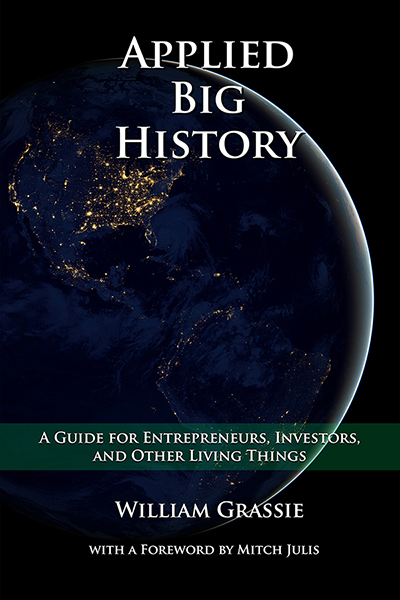 In thishistory there has been fault on both sides, but now a new age isbeing born in which these two powerful forces are coming together ina common pursuit to discover a new collaborative approach toknowledge, wisdom and action. 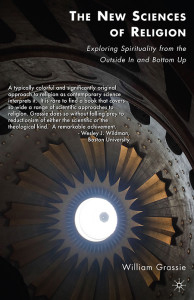 I believe the friendship nowdeveloping between science and religion is here to stay, and I’d liketo suggest that the rift has been primarily an epistemological one,and that healing it will require a recognition of the multivalentnature of knowing, a knowing that has its one ground in consciousnessitself as the place of all things. Sometimes this multivalent nature of knowing, that is, that thereare many ways of knowing, i.e., religious, mystical, scientific, orempirical, aesthetic, interpersonal, psychological, intuitive, cosmicand historical, to name a few, exist within the same person.Oftentimes scientists are exceptional in their fields and are alsomystics and poets, or musicians, having impressive intuitivecapacities beyond the usual. Ken Wilber devoted a book compiling theintuitive, mystical utterances of some our most gifted scientists.His Quantum Questions is a useful contribution to our discussion.Some of our greatest physicists are capable of knowing reality, or apart of it, in a number of ways, not simply empirically, although allways involve experience. But the scientist who is also a mystic, even though such a onerealizes the mystical is valid and ultimate, is not permitted to takeinto account mystical knowledge within the range of scientificmethodology, even though the scientist knows it is real knowledge.This situation has led to what I call epistemological schizophreniain the scientist, fragmentation in our understanding of reality, orcompartmentalization, rather than integral knowledge. We need toaddress this lingering situation, and any attempt to integratereligion and science must take into account this unfortunate impasse.Again, Ken Wilber has devoted considerable intellectual resources todiscover ways out of this narrow-minded fixation of the old science,and yet without sacrificing rigorous scientific methodologicalstandards. His Marriage of Sense and Soul is such an attempt, andespecially his notion of the four quadrants, or corners of knowing:the upper left as subjectivity, or the interior-individual (theintentional); the lower left as collective subjectivity, orinterior-collective (the cultural); the upper right as the exterior-individual (the behavioral), and the lower right as theexterior-collective (or the social).1 This insight is a correctiveand a reversal of epistemological schizophrenia. What he is doing ismaking room for other ways of knowing as valid forms of knowledge,even within the view of science itself, such as mystical experience,aesthetic illumination, poetic imagination, interpersonal love, andpsychological reality. 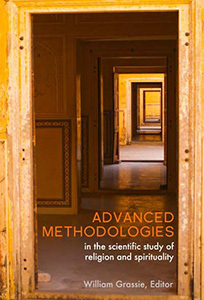 This is a very valuable contribution tointegral methodology, one that bridges the gap between science andspirit by enlarging the context of knowledge. Only in this way willthere be a sufficient foundation for their eventual fruitful andeffective collaboration. In integrating science and religionnoetically, we are at the same time uniting all the spheres ofknowing. Another significant hurdle to be overcome, indeed to be abandoned,is that of dualism, and its destructive form of naive materialism,which is a complete reductionism that ignores the central place ofconsciousness, asserting it to be epiphenomenal to matter, andderived from the material substratum. Every form of reductionism,whether in physical science, philosophy, psychology, economics etc.is always inadequate and simplistic. Materialism rests on thepostulate of pure objectivity of the old science, and this notion ofobjectivity, as a working principle and dogma, requires dualism, or asplit between the mental and physical realms, a dichotomy we owe toDescartes. This split between mind and body, however, is reported to ourperception by our mind, that is, by our consciousness. When wereally examine this matter carefully what we notice is thateverything -absolutely everything – depends on consciousness: ourmemories, ideas, perceptions, emotions, musings of the imagination,dreams, learning, thinking, our relationships, our experience of thenatural world and the cosmos, the places we visit, where we live, theschools we’ve attended, the movies we’ve seen, the pets we have, thebooks we read, and the sports we enjoy, cooking, eating, andlove-making, all happen because we are aware. They exist in andthrough consciousness, even the body. We have a body because we knowwe have a body. In this sense, the body exists in the mind. Todrive this point home to students and audiences, I often ask them topinch their hand. Then I tell them that pinching and what it revealsis a cognitive act! It’s an act of knowing, of mind, of awareness,or consciousness. It is the mind, in its perception of the hand, ofthe body, that makes possible the body, not the other way round asmaterialism would have it. The same is true of the brain. I have tobe conscious to know that I have a brain, and consciousness cannot bereduced to that which it makes possible. Let me express it as aprinciple: that which makes perception possible is the basis of allreality, because without it, there would be no reality for us. Whether we like it or not, whether we accept it or not, we arehermetically sealed in consciousness. There is no objective realitythat we can verify without appeal to our own experience withinconsciousness itself. We do not know if there is an outside toconsciousness, since we have no experience of it. Materialism hasmerely asserted it quite gratuitously, without any actualverification. Verification is beyond our grasp, for to establishthat a purely objective, independently existing reality is there, wewould have to get outside of our consciousness, and perceive thatsupposedly real world, but we cannot. To get outside, and see what’sthere, we’d still have to be aware, still conscious. Hence, we areconfined to consciousness, and there is no outside. The hypotheticalobjectivity of reality is intrinsically unverifiable! Since all experience is mediated through consciousness, thepostulate of pure objectivity is indefensible, and is holding us backfrom progress to that integration of science and religion we wouldall like to see. We can achieve what can be called a sharedsubjectivity whose contents we can verify as universally valid in theexperience of others, and we can do this keeping in mind Ken Wilber’sfour quadrants as our guide. This gives us a modified objectivity,but again it rests on our shared subjective experience. To move inthis direction, which I believe is inevitable, is to announce onceand for all the validity and truth of the primacy of consciousnessitself. It is in and through this primacy that religion and sciencewill finally be married, to use Ken Wilber’s metaphor. There are many today who have awakened to the absolute place ofconsciousness in knowing, being, reality and life.2 Albert Einsteinonce remarked: The most incomprehensible thing about the universe isthat it is comprehensible. I believe it is comprehensible becauseconsciousness is its basis. Often we hear reports of how pervasiveintelligence is in nature and the cosmos, that it is at work on alllevels, from the subatomic, quantum level, to the organic, natural,and cosmic levels. I have a question here. Is it that intelligenceis in everything, or rather that everything is intelligent becauseeverything is aware. I think it is the latter, and I believe thateverything participates in a vast, universal system of consciousness,with other realms, reaching to the most ultimate, the Divine itself.All reality is internal, that is, is happening again inconsciousness, or as Leibniz put it in his Monadology, all relationsare internal, that there are no windows to an outside. We knoweverything from within in a unitive, non-dual sense. The Upanishadic seers knew thousands of years ago that Brahman, orGod is Consciousness, and the human is also consciousness, thateverything, including the universe, is within us, that is, within ourconscious range of experience. Meister Eckhart, the Christian mysticof the 13th century understood the role of consciousness in itsmediating function, when in the context of contemplative method, heobserved: The eye in which I see God is the same eye in which Godsee me. My eye and God’s eye are one eye and one seeing, one knowingand one loving.3 Needless to say, this eye isn’t the ocularfaculty, but is the mind, or self-awareness itself. That is theplace of encounter, the bridge that unites the Divine with thehuman. In this same place religion and science meet, and are united.They exist in mind as parallel activities of consciousness. Thewhole of nature and the cosmos exist in mind, as does human andangelic reason. Consciousness is also the elusive unified field thatintegrates the four forces of nature. It is the basis of love, andthe whole range of emotion, for love and emotion as such areexpressions of awareness. It is the matrix in which all principles,natures, concepts, notions, mathematical equations and insightssubsist. The sea of Consciousness is where all things dwell and arerevealed, the realm of Spirit. The infinite reality of Consciousness contains the human as aregional or species consciousness, and individual human knowers aslocal awareness within species or regional mind, or spirit. When wehave a mystical experience, an aesthetic awakening, an interpersonallove eruption, we break out of our local, and often our regionalawareness, and begin to ascend to other levels of consciousnessbeyond the horizon of the human, even to the ultimate realm of DivineConsciousness itself. This Divine Consciousness is not a cold,analytical reason, but has heart, is animated by unconditionalcompassion and love, an infinite kindness, mercy and sensitivity, aconcern for all that is and can be. If consciousness has primacy and is ultimate, then religion andscience can find integration there, and can explore that unity inmysticism itself, the very heart of reality, the nature of Spirit.This is one reason why so many scientists are mystics. Well,actually, everyone is a mystic by virtue of their existence, but noteveryone knows it, or accepts it. Mysticism is the awakening to theinner interdependence of everything, and their unity in the fontalSource, the Divine. It is the endless horizon of essential, inwardgazing connectivity. It is the common ground alike of the religions4and the sciences with the religions. Mysticism as the direct, orunmediated experience of Ultimate Reality in Consciousness is thegoal of all knowing, since whether as a mystic or a scientist, wewant to know what is true in an unqualified and absolute sense, nottrue now, only to be discarded later for a more adequate truth. The two ways, science and religion have their roots in mysticism,and it is there that they will discover their common identity asparallel forms of knowing. Religion itself has its source in themystical. All the great world religions bear this out, for theirfounders were all mystics who received a revelation, illumination, orawakening from Ultimate reality, and this became institutionalized ina tradition. The two ways are complementary to each other; theycomplete each other, and they refine the picture of reality for us.We need both of them; they are actually forms of each other. In September 1999 in Dharamsala, India, a hundred and ten of usparticipated in the Synthesis or Dharamsala Dialogues. Representingall disciplines of knowledge, we came to the realization that allforms of knowing, and all activities must be grounded inspirituality, since there is no knowledge for the sake of knowledge.All knowledge must have a relationship to the practical life ofhumankind and the suffering that exists on our planet. Spiritualityis the living out of the mystical, of that fundamental, and universalcoherence and intelligibility of consciousness that allows forintrinsic interconnection, or interdependence, the primordialintercoinherence that we call love, compassion, and sensitivity. Thefruit of all genuine knowledge and mystical life is sensitivity as avast, precious and effective awareness, a healing understanding. 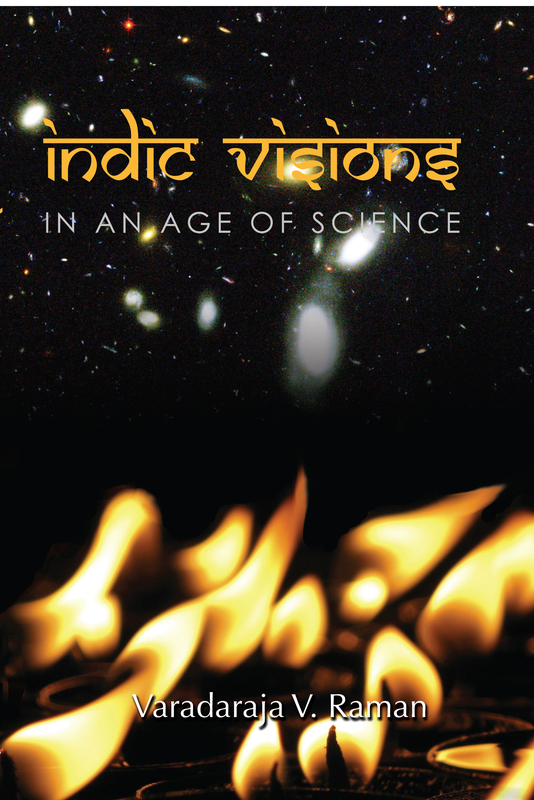 Mysticism gives larger sight or vision to science, while sciencegrants precision to mysticism. Here is the real marriage, a newspecies of knowing, being, having, and transforming. The integrationof science and religion is a journey into mystery, into the Divine,into Spirit. Both mysticism and science are empirical insofar asthey are both concerned with and rooted in experience, though somemay argue that science is more mathematical than empirical. Mysticsand sages throughout time have taught us that an Ultimate Realityexists, more than exists, is all that is, surrounding us on allsides. Now we can discern that insight in the utter truth andreality of consciousness itself, and its nature as caring, love,compassion, concern in Heidegger’s understanding. But the mysticsage doesn’t ask us to believe this, rather we are exhorted to findout for ourselves through experience. These two venerable activities of Spirit, of Consciousness have anabsolute and universal responsibility to discover together, towrought as partners, a new and more adequate view of this world, oflife, being, nature and the cosmos, the transcendent and theUltimate. Together they will find a way to inspire humankind to livesustainably by convincing us of the necessity to embrace simplicityas a basic survival strategy for all species. Simplicity of lifeteaches us how to live harmoniously with nature, to enjoy its goodsin modest use, and to respect the rights of other species. In this task and others, spirituality, or religion and thescientific enterprise are agents of transformation. They are teachesof this transformation that brings an expansion of understanding in amore integral view of the real. They will free us from our oddfixation on ourselves, our curiously destructive preoccupation withanthropocentrism that has limited us to a kind of geo-centrism inthis anthropocentrism. They will lead us into the value ofother-centeredness and joy. These are essential thrusts oftransformation in the human. They will further advocate a stabilityin virtue as preferable to a disintegrating permissiveness. Thevirtues of their focus are again: mercy, compassion, love, kindness,sensitivity, joy, and forgiveness. These virtues will move us toother-centered action that will be productive of a new, universalcivilization whose heart is compassion and love rather than power andmoney. The difference this all makes is that (1) it will give a moreadequate view of reality based on an integral vision; (2) it allowsto emerge a new way of knowing based on the synthesis of the best ineach, one that mutually sustains and irradiates the other with itswisdom; (3) it creates a culture of mutual inclusion in such a waythat the mystic becomes a scientist, while remaining a mystic, andthe scientist becomes a mystic, while remaining a scientist, and thefruit of both benefits the world. 1 Ken Wilber, The Marriage of Sense and Soul: Integrating Science andReligion (New York: Random House, 1998), chapter five. 2 Some of these include Amit Goswami, Fred Alan Wolf, Peter Russell,to mention a few. 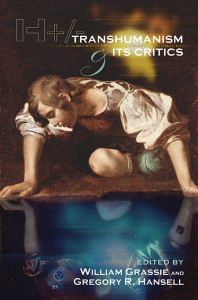 Amit Goswami’s book, The Self-Aware Universe: HowConsciousness Creates the Material World (New York: Tarcher/Putnam’sSons, 1995), is especially significant. He has actually opened up awhole new path, i.e., science within consciousness. 3 Meister Eckhart: Teacher and Preacher, ed. Bernard McGinn, TheClassics of Western Spirituality (Mahwah, NJ: Paulist Press, 1986),Sermon 12, p. 270. 4 I try to illustrate this point in my book, The Mystic Heart:Discovering a Universal Spirituality in the World’s Religions(Novato, CA: New World Library, 1999). I call this common groundinterspirituality. This publication is hosted by Metanexus Online https://www.metanexus.net. The views expressed here do not necessarily reflect those of Metanexus or its sponsors. 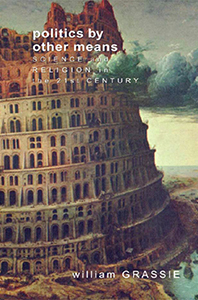 Metanexus welcomes submissions between 1000 to 3000 words of essays and book reviews that seek to explore and interpret science and religion in original and insightful ways for a general educated audience. Previous columns give a good indication of the topical range and tone for acceptable essays. Please send all inquiries and submissions to. Metanexus consists of a number of topically focused forums (Anthropos, Bios, Cogito, Cosmos, Salus, Sophia, and Techne) and periodic HTML enriched composite digests from each of the lists. Copyright notice: Except when otherwise noted, articles may be forwarded, quoted, or republished in full with attribution to the author of the column and Metanexus: The Online Forum on Religion and Science. Republication for commercial purposes in print or electronic format requires the permission of the author. Copyright 1998, 1999, 2000, 2001, 2002, 2003, 2004 by Metanexus Institute.